Milwaukee, we love you…and we’re glad you love us too! 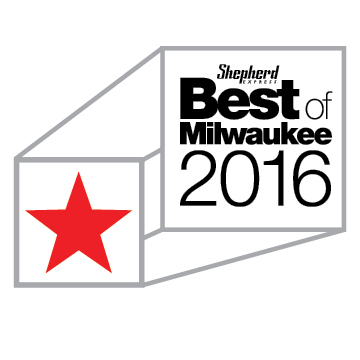 We are incredibly excited to announce that Milwaukee Eye Care Associates is a Shepherd Express Best Of Milwaukee Finalist two years in a row thanks to our amazing patients! Being considered as one of the best in the business is a true honor. Our passion has been helping the city see clearly for over 80 years. We were the first eye care practice in Milwaukee, and our ophthalmologists were one of the very first to offer LASIK surgery and laser assisted cataract surgery in Milwaukee! Your continued support means so much to us. The greatest compliment we receive is when we have the opportunity to provide eye care for your family, friends, co-workers and neighbors due to your kind words. Help your community easily find the best by voting for us for Best LASIK Surgeon and Best Eye Doctor! Ballots must be in by December 1st.